January is the time where many of us take on new challenges, goals and motivate ourselves. It is always a fantastic opportunity to make sure we look after ourselves from diet and exercise to helping aid our wellbeing. Breathing and changing the patterns of this is said to help reduce stress and relieve anxiety or imporve enduarance physically. Pursed-lip breathing method – This is the easiest one to start with. With relaxed shoulders, take a normal breath in for about two counts. Then pucker your lips and exhale for about four counts. Repeat this pattern a few times. 4-7-8 method – In this technique, you exhale through your mouth and then close it and inhale through your nose for four counts. 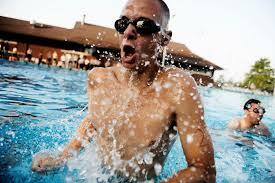 You hold the breath in for seven counts and then release it for eight counts. Repeat at least three times. Belly-breathing method – Also known as ‘abdominal breathing.’ With your shoulders back, keep one hand on your chest and the other on your belly. As you breathe in deeply for about two seconds, your belly should stick out a bit. Feel the air expanding your stomach and then breathe out slowly through your lips. All of the above helps to de-stress and breathe better for longer. Especially if you need supplemental oxygen every day and especially when you need to travel. Travel alone causes stress with co-ordinating the organisation and this is why you are not alone. Try some new exercises for your breathing and you may find you are not only heathier but happier too. If you need OxygenWorldwide’s services please do read our client testimonials as we care for all our customers around the world. Many patients with advanced lung cancer can sometimes feel short of breath even when they are on oxygen and showing that they have an acceptable oxygen level of over 90%. There are a few reasons why this can happen. If your oxygen level drops below 88% this signals to the brain that you need more oxygen and initiates dyspnea (shortness of breath) and a sense of air hunger. This signal is also triggered when other pulmonary test levels are low. The Vital Capacity is how much air there is from the beginning to the end of a breath and the FEV1 is a measure of how much air you can forcefully exhale in one second. Even when your oxygen levels are good at 90% if any of the other values are low then the body can sense dyspnea. The use of an inhaler can be very effective in improving the Vital Capacity and FEV1 and can immediately improve breathing symptoms and stop the feeling of shortness of breath due to the effect the inhalers have on widening the airways. Also many patients can be not very physically fit due to a combination of the medical illness, age and obesity. Introducing more exercise into daily life can help to improve cardio/respiratory fitness thereby improving the Vital Capacity and FEV1 and helping to reduce the frequency of periods where you feel short of breath. Low blood counts (anaemia), heart disease and advanced kidney disease are conditions that can also cause dyspnea even if your lungs are working effectively. Vital capacity and FEV1 are pulmonary tests that your doctor can perform to see how effectively your lungs are working so regular check-ups are important and your doctor can help ensure that if you suffer from these situations that they are treated to help improve your breathing. Some patients find that when these other factors are dealt with that they are less reliant upon their oxygen. • If you smoke, get help to quit. • Try some breathing techniques. If you practise these and use them every day, they will help you when you are active and getting breathless. They will also help you manage if you get short of breath suddenly. – Blow as you go: breathe out when you are making a big effort, such as standing up, stretching or bending. – Pursed-lips breathing: breathe out with your lips pursed as if you were whistling. • Be more physically active. Physical activity could be walking, gardening, walking the dog, housework or swimming as well as going to a gym. If you have a lung condition, you can be referred to a pulmonary rehabilitation (PR) programme by your doctor, and if you have a heart problem there are cardiac rehabilitation services too. These classes help you to get control over your breathlessness, get you fitter and are also lots of fun. • Drink and eat healthily and manage your weight. If you are carrying excess weight you will require more effort to breathe and move around, and it will be more difficult to get control over your feelings of breathlessness. • Get treatment if you feel stressed or anxious. • Use the right medication in the right way. If you use inhalers, tablets or liquids to control your breathing ensure you know how and when to take them correctly. • Ensure your oxygen flow rate is correct. Another reason why regular check-ups are important so your doctor can monitor your oxygen requirements and adjust your oxygen flow rate accordingly for your oxygen concentrator. Living with chronic obstructive pulmonary disease (COPD) doesn’t mean you have to stop living your life. Being on the correct medication and oxygen treatment regime is crucial but there are some tips on lifestyle changes that you can make to help you manage the disease. Smoking is the number one cause of chronic bronchitis and emphysema. Together these diseases comprise COPD. If you haven’t already quit, it’s very important to take steps to stop smoking. Talk to your doctor about smoking cessation strategies. If nicotine withdrawal is a concern, your doctor may be able to prescribe nicotine replacement therapy to help you slowly wean yourself off. Products include gum, inhalers, and patches. People with COPD should avoid all inhaled irritants such as air pollution, dust, or smoke from wood-burning fireplaces. It may also be helpful to avoid contact with people who show signs of cold or flu. Your doctor may also recommend an annual flu vaccine. Your doctor may also recommend nutritional supplements to ensure you’re getting the essential nutrients you need. People living with disabling diseases such as COPD occasionally succumb to anxiety, stress, or depression. Be sure to discuss any emotional issues with your doctor as they may be able to prescribe medications to help you cope or also recommend other approaches to help you cope. This might include meditation, special breathing techniques, or joining a support group. Be open with friends and family about your state of mind and your concerns and let them help in any way they can. Asking for portable oxygen devices from your supplier can aid you in being more mobile and to have oxygen with you whilst you exercise or carry out more strenuous activities. Breathing Could Help You To Lose Weight! Seeing as breathing is such a vital and fundamental part of our lives, one might think that we do it correctly, however we often don’t. We tend to take shallow breaths and hold our breaths when focusing or under pressure. This lowers our oxygen levels causing fatigue and a lack of clarity and we can make poor decisions and perform poorly as a result. Sitting still in an office chair can also create an oxygen deficit and it is the reason why after vegging-out in front of the TV we feel exhausted even though we haven’t done anything strenuous. 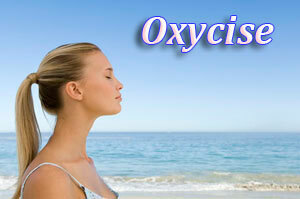 Oxygen thins the blood slightly which helps to lower your blood pressure and speed up the blood flow. This increases your metabolism and burns more calories, therefore the more oxygen you have in your blood, the faster your metabolism will be. You also burn more calories sitting outside than you do sat indoors, as cool air increases your metabolism as it tries to expend more energy keeping your body at a comfortable temperature. Therefore it is more beneficial to exercise outside than indoors. If you’re unable to exercise then deep, active breathing for a couple of minutes a day can increase your oxygen intake, reduce stress, strengthen muscles and burn more calories. Also oxygen helps to break down fat molecules and the blood then picks up the waste carbon dioxide to transport it out of the body via the lungs, therefore the more oxygen we take in, the more fat molecules that can be burned off. ‘Oxycise’ is the latest weight loss programme sweeping across America claiming to transform body shape, shed pounds, improve muscle tone and boost energy level based on the information above. Instead of doing high impact aerobic exercise, Oxycise breathing techniques can be done anywhere. The deep breathing forces us to use more of our lungs, to tighten and strengthen the diaphragm muscles which makes our muscles contract and combined with some gentle exercises can burn fat and tone up muscles. A study even found that a women burned 140% more calories than riding an exercise bike. However sceptics say that breathing too deeply is harmful as it can ‘disturb the balance between carbon dioxide and oxygen needed to neutralise the blood and can cause light headiness and fainting’ and that deep breathing is not going to burn enough calories to transform body shape, it may burn up 2% fat at best, Prof McDonald states. The jury’s still out without more detailed studies and research but it’s an idea to definitely think about as it is such an easy technique that we can all do.